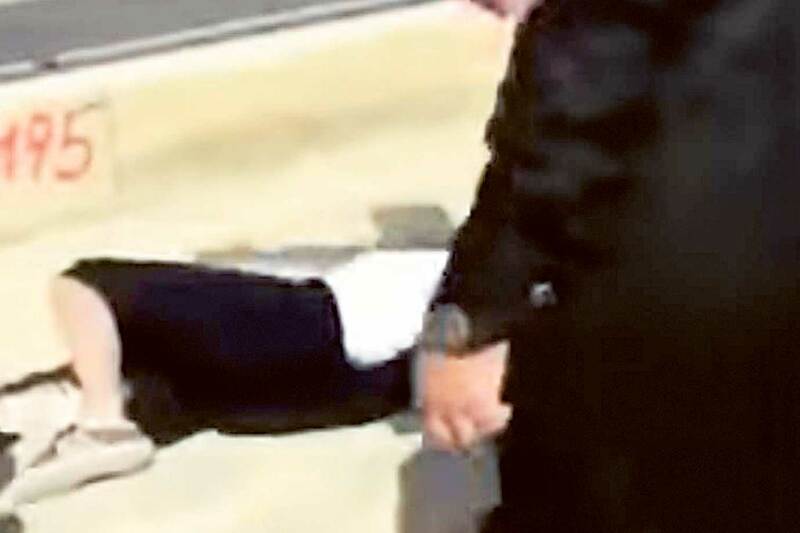 A video clip of a woman being beaten up in front of the Nakheel Mall in Riyadh sparked outrage in Saudi Arabia this week amid contrasting reports about what really took place. The girl said that she was walking with her friend in front of the mall looking for a taxi when they were stopped by a Commission patrol. One of the men asked the two to cover their faces, but the girls initially resisted the order. However, they acquiesced when they saw the man getting off the car and approaching them, she said, Al Hayat daily reported. “The Commission member asked us if we were students or employees, and wanted to take us into the vehicle,” the girl said. “However, as we realised [there was a] large number of Commission members, we refused and insisted that they call our families. However, the Commission member did not listen and he and others tried to pull us inside the van by force,” she said. The girl managed to flee into the mall even though the Commission member was shouting to the guards to stop and apprehend her. “They [guards] did not obey him and I was able to escape. My friend ran away towards the main avenue, and everybody saw on social media what happened to her. She was eventually kept away from the Commission members and put on a bus that took her home. She was in a terrible state. The Commission took her bag and some of her belongings, but she managed to keep the mobile phone that they wanted to wrestle out of her hand,” she said. A source at Al Nakheel Mall said that the guard who gave his account of what happened and posted it online was removed. The mall’s security and safety directorate said that it summoned Mubarak Al Dossari to listen to his testimony and that it suspended him temporarily out of its concern for his safety until it secures him a position in another location. Several social media users joined an online campaign to provide Al Dossari with tight security to ensure he is not attacked or harmed in anyway. Al Dossari in his online testimony blamed the Commission for the incident, saying they were the cause of what happened to the girl. “They chased the girl for half an hour before she was made to fall on the ground where a part of her body was unveiled in public,” he said. “I was shocked to see the Commission member hold the girl violently in his attempt to arrest her, which prompted me to jump in and rescue her and put her on a school bus,” he said.